As we put the finishing touches to our Halloween costumes we’ve rounded up some of the not-so-spooky posts from around the insurance blogosphere to keep the ghouls and ghosts away. First up is Erie Insurance with its post 4 Lesser-Known Halloween Safety Tips. Read all the way to the end and you’ll learn of the dangers of glow sticks. As a parent to two young children who gravitate towards anything that glows, I appreciate the tip that glow sticks cause an increase in poisoning on Halloween. Make sure to tell your kids to keep them away from their mouths. Next up is Zillow and HomeInsurance.com with an excellent post on how Halloween carries potential financial risk for homeowners. Whether it’s Halloween-related fires leading to property damage or liability claims from trick-or-treaters injured on your property, some practical safety steps and a homeowners or renters insurance policy can help protect your most valuable assets. Do you have a secure place to park your car? In this Insurance Institute for Highway Safety (IIHS) post (from 2013) we learn that vehicle vandalism peaks on Halloween with nearly twice as many insurance claims on October 31 as on an average day. Such claims include things like slashed tires and smashed windows. Hence the importance of comprehensive auto insurance coverage. And for the insurance fans among you, last but not least is a post on WillisWire, reflecting not on make-believe monsters, but on the scariest real risks faced by their clients during the year. Which one keeps you up at night? Have your say and take their poll. Wishing all our readers a safe and Happy Halloween! Costs per claims have risen due to a variety of factors including increased medical costs and jury awards. 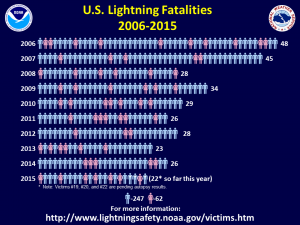 In addition to dog bites, some claims are due to dogs knocking down children, cyclists, the elderly, which can result in fractures and other injuries. All these factors impact the potential severity of losses. Contact @LWorters for more information. Much hay is being made of an apparent decline in the number of identity theft victims and losses, amid an ongoing number of significant data breaches. The headlines follow release of the 2015 Identity Fraud Study by Javelin Strategy & Research. The study found that there were 12.7 million identity fraud victims in 2014, down 3 percent from the near record high of 13.1 million victims in 2013. At the same time, some $16 billion was stolen from fraud victims in 2014, an 11 percent decline from $18 billion in 2013. Javelin attributes the decrease to the combined efforts of industry, consumers and monitoring and protection systems that are catching fraud more quickly. As we know, 2014 saw a number of major data breaches, notably from retailers Home Depot, Neiman Marcus, Staples and Michael’s as well as financial institutions such as JP Morgan Chase. But lest you think that the swift response to data breaches has nullified the identity theft threat, think again. Javelin found that two-thirds of identity fraud victims in 2014 had previously received a data breach notification in the same year. Also, individuals whose credit or debit cards were breached in the past year were nearly three times more likely to be an identity fraud victim. Meanwhile, identity theft just topped the Federal Trade Commission’s (FTC) national ranking of consumer complaints for the third consecutive year, accounting for 13 percent of all complaints. Government documents/benefits fraud (39 percent) was the most common form of reported identity theft, followed by credit card fraud (17 percent), phone or utilities fraud (13 percent), and bank fraud (8 percent), the FTC said. Whether or not identity theft is caused by a data breach (remember, stolen laptops, wallets, dumpster diving, phishing scams are some of the most common causes of identity theft), or whether an individual even knows how their information was compromised (many don’t), it’s important to stay vigilant to this threat. Wondering if your homeowners insurance policy includes coverage for identity theft? Check out these useful tips from the I.I.I. Overall satisfaction among homeowners who have filed a property insurance claim increased for the third consecutive year, according to the JD Power 2015 Property Claims Satisfaction Study. Insurers have been able to increase property claims satisfaction to 851 (on a 1,000 point scale) in 2015, up from 840 in 2014. JD Power said the higher satisfaction among customers reflected the fact that insurers have applied the lessons learned while handling CAT claims to non-CAT claims and put renewed focus on their property insurance business. The study shows the significant gains insurers have made in customer satisfaction by applying the lessons learned while handling prior catastrophic losses to all claim processes. The study, now in its eighth year, measures satisfaction with the property claims experience among insurance customers who have filed a claim for damages by examining five factors: settlement; first notice of loss; estimation process; service interaction; and repair process. Overall satisfaction improved in each of the five factors in 2015, with greatest year-over-year improvements seen in settlement and service interaction, JD Power noted. The study findings are good news for insurers as they often realize a return on their investment in customer satisfaction in the form of loyalty. Only 3 percent of customers who were delighted (satisfaction scores 900 or higher) and 7 percent of those who were pleased (scores 750-899) with their insurer during the claims process have switched carriers since their claim closed, according to JD Power. But, 9 percent of indifferent (scores 550-749) and 11 percent of displeased (scores 549 or lower) customers have switched to a different insurer. And 23 percent of indifferent customers and 42 percent of displeased customers say they will shop for a new provider during the next 12 months. The study is based on more than 6,100 responses from homeowners insurance customers who filed a property claim between January 2013 and December 2014. Check out this I.I.I. video for steps for filing a homeowners claim. The cost of claims paid by homeowners insurers has been increasing at twice the rate of inflation, despite significant declines in recent years, according to the 2015 edition of a report from the Insurance Research Council (IRC). Average homeowners claims payments per insured home have been increasing at an annualized rate of 5.0 percent since 1997, the IRC said, compared to the inflation average of approximately 2.4 percent. The average claim payment per insured home countrywide rose to $625 in 2011, up from $229 in 1997, before falling to $442 in 2013. What’s behind the increased costs? All of the increase in average costs per insured home was due to growth in average claim severity, which rose at an annualized rate of 7.8 percent over the 17-year period–more than triple the rate of inflation, the IRC said. The rise in claim severity more than offset a 2.6 percent annualized decrease in claim frequency, the report found. 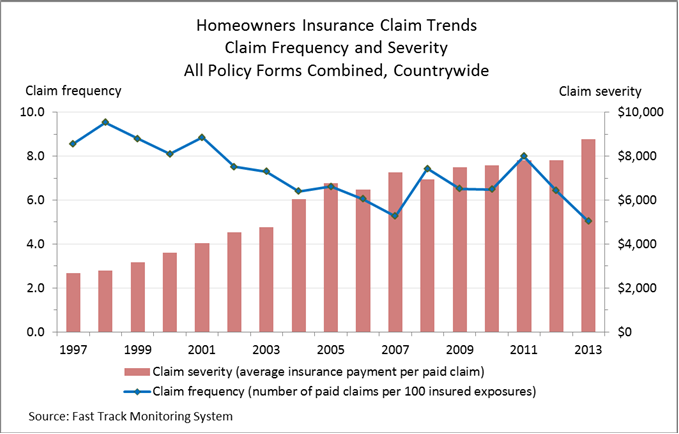 That said, claim frequency trends were found to be significantly more volatile than claim severity trends, especially for experience identified by insurance companies as related to catastrophe events. Insurance companies face significant challenges in responding effectively to rapid growth in claim severity and in managing the extreme volatility of claim trends everywhere. IRC analyzed data from the Fast Track Monitoring Service representing approximately 50 percent of the U.S. homeowners insurance market for the study. I.I.I. has useful facts and statistics on homeowners insurance here. My own Valentine’s story is one of loss and finding, and how insurance helped. Last April I lost my engagement ring. One minute it was on my finger, the next it wasn’t. It was late in the day when I felt the weightlessness of my fourth finger. The day had been full of preschool dropoffs and pickups, a grocery store run, a bank drive-thru, multiple loads of laundry, a music class and playtime with my youngest son. Frantic, I retraced my steps, searched on my hands and knees every inch of the family room, fingered through laundry fresh and dirty, drove back to the bank, called the grocery store. Nothing. The knowledge that the ring had become loose on my finger in recent months didn’t help. It could have slipped off anywhere. My partner arrived home to find me a mess. When we got engaged back in 2004 the diamond rings we picked out at a well-known Fifth Avenue store were a significant purchase for us, but not excessive by any means. Still, to lose the ring just a year shy of our 10th wedding anniversary gave me that ball in the pit of my stomach feeling. I emailed our insurance agent. The next morning I broadened my search, retracing steps over the prior weekend. On my second empty-handed trip back from the bank drive-thru I followed our agent’s advice and called our insurer to report the loss. Retelling what had happened to the customer service rep was cathartic actually. She asked for details: When did I last remember seeing the ring? Which bank drive-thru had I visited? How long had the ring been loose? When exactly had the ring been purchased? Had it been valued? The report filed with our insurer, I was somewhat comforted by the fact that our standard homeowners policy covers our personal belongings, including jewelry up to a stated dollar amount (in our case just more than the value of the ring). Our decision to go for replacement cost coverage also proved prudent. It was four or five days after the ring went missing that a strange thing happened. My eldest son was jumping up and down on the couch. Anyone with young boys knows they do this often. Suddenly something round and glittering fell out from under it. My son picked it up and handed me none other than my engagement ring! I don’t know who was more pleased, me or the customer service rep at our insurer. The insurance check (already in the mail) was cancelled. The original ring was back on my finger. 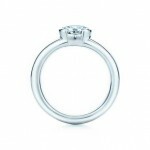 Soon afterwards on the advice of our insurer, we went back to the jeweler to get my ring re-sized. After 10 years, one dog and two kids the net reduction was 1.5 sizes. Our modest jewelry loss ended in the best possible way, but if you own valuable jewelry or other items that would be difficult to replace, you might want to increase your coverage, as the I.I.I. advises here. And remember, as the years go by it’s a good idea to get your jewelry resized if you want to hold on to the sentimental value. With thanks to MetLife and Tiffany & Co.
As the blizzard of 2015 starts to hit hard across the Northeast, with several feet of snow, intense cold and high winds expected, utility companies are warning of widespread and potentially lengthy power outages across the region. In New Jersey, utility companies say it’s the high winds, with gusts of up to 65 mph, rather than the accumulation of snow, that are likely to bring down trees or tree limbs and cause outages. Consolidated Edison inc. which supplies electricity to over 3 million customers in New York City and Westchester county, told the WSJ that the light and fluffy snow expected in this blizzard should limit the number of power outages, but elevated power lines could come down if hit by trees. In Connecticut, Governor Dannel P. Malloy said the state’s two major electric utilities are preparing for 120,000 outages statewide, the Hartford Courant reports. The governor has issued a travel ban for the entire state beginning 9pm Monday. And in Massachusetts, where thousands of utility company workers have been mobilized, there are also concerns that high winds could delay repairs, with one utility spokesman telling the Boston Globe that this will likely be a multi-day restoration event. –If the power outage lasts for more than a day and you have perishable foods in your refrigerator or freezer, the good news is that food spoilage from the event may be covered under your standard homeowners insurance policy, up to a specified limit, usually anywhere from $500 to several thousand dollars. Typically, the policy deductible does apply to this coverage, however. –A home would need to be severely damaged by an insured disaster for additional living expenses (ALE) coverage to apply under a standard homeowners policy. In other words, if there is no physical damage to your property but you can’t live at home because of the power outage, in general policies would not pay for you to live elsewhere. –For businesses, basic property insurance does not cover loss due to power interruption or failure of power to the insured premises if the failure occurs away from the premises. So, if heavy snow topples a power line that is not on an insured’s premises, such as a grocery store, spoilage of food due to the outage would not be covered. If the power outage resulted in a disaster such as a fire at the insured premises, that would be covered. The Insurance Information Institute (I.I.I.) reviews what winter storm damages are covered by your home and car insurance here. Check out more information on business insurance from the I.I.I. here. As you prepare to welcome a throng of Frozen Elsas and Olafs to your front door, you may not be thinking about insurance but we’re here to tell you, you’re covered. – Vandalism: In the event your home or your personal possessions are damaged by neighborhood tricksters, homeowners and renters insurance policies provide coverage for vandalism and malicious mischief. You are on your own, however, when it comes to removing the toilet paper from your front yard…. – Fire: If a jack-o-lantern, or other decoration, goes up in flames and damages your property, your homeowners or renters policy will cover fire-related losses. And, should the blaze make your home uninhabitable, additional living expenses (ALE) coverage will pay for alternate accommodations, such as a hotel, while your home is being repaired. – Injuries: The liability portion of a homeowners or renters policy comes into play if a Halloween party guest, or a trick-or-treater is injured while at your house or apartment. These policies also include no-fault medical coverage so the injured person can file their claim directly with your insurer. And if Fido gets a little skittish from all the commotion and accidently nips a trick-or-treater your liability coverage includes damages or injuries caused by pets. Overall satisfaction among homeowners insurance customers who filed a property claim has improved for the second consecutive year. According to the J.D. Power 2014 Property Claims Satisfaction Study, satisfaction among homeowners insurance customers who filed a property claim between April 2012 and January 2014 averages 840 (on a 1,000-point scale) Ã¢â‚¬“ up from 836 in the 2013 study. Overall satisfaction with non-catastrophic claims increased by 11 index points in 2014, compared with 2013 (843 vs. 832, respectively). However, satisfaction among those homeowners who filed a claim for damage caused by Superstorm Sandy averages just 830 in 2014, down from 846 among Sandy-related claimants surveyed shortly after the October 2012 storm. 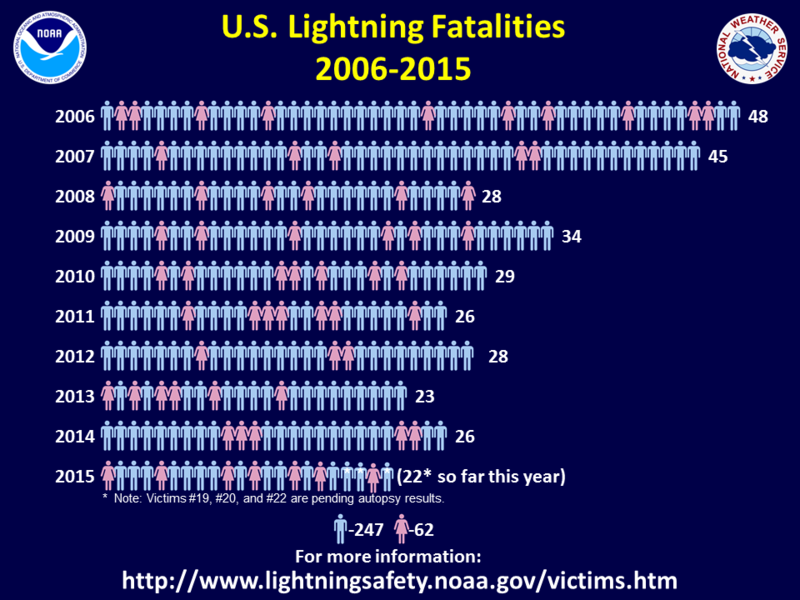 At this point, we should note that Sandy caused $18.75 billion in insured property losses across 15 states and the District of Columbia, not including National Flood Insurance Program (NFIP) losses, according to Property Claim Services (PCS). This makes it the third costliest U.S. hurricane topped only by Hurricane Katrina in 2005 and Hurricane Andrew in 1992. Returning to J.D. PowerÃ¢â‚¬â„¢s findings itÃ¢â‚¬â„¢s not surprising to learn that communication and timeliness are key to keeping homeowners insurance customers satisfied during the property claims process. The study, now in its seventh year, measures satisfaction with the property claims experience among insurance customers who filed a claim for damages covered under their homeownersÃ¢â‚¬â„¢ policy by examining five factors: settlement; first notice of loss; estimation process; service interaction; and repair process. 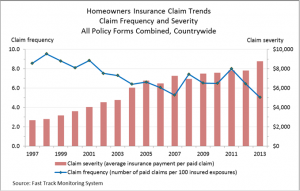 The 2014 Property Claims Satisfaction Study is based on more than 5,500 responses from homeowners insurance customers who filed a property claim between April 2012 and January 2014.